With one nation finally flying in the FIFA World Cup and one nation looking at an unlikely exit, Nigeria and Argentina come into this crucial group stage tie with totally differing expectations. Seen as a team that would exit the World Cup without much issue, Nigeria now know they are a win away from going to the World Cup knockout rounds. If Argentina want to get to the knockouts they need to produce a performance totally out of kilter with what they have produced so far. The Super Eagles come into this one knowing that they need to produce something special. Despite Argentina not playing well, Nigeria play such an open style that they’ll need to be fluid up front and solid at the back. 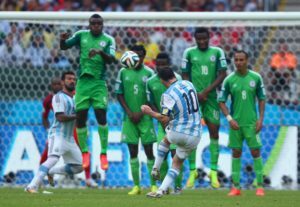 With the likes of Ahmed Musa, who has history of playing well against Argentina, they know they have the pace to trouble a very poor Argentina back-line. However, their naivety at the back and their willingness to pour forward in numbers will have to be kept in check. Argentina, meanwhile, need to find something. The constantly changing line-ups and formations, mixed with a national side that simply does not look like an Argentina side means that they need to locate a winning formula to get through. Coach Jorge Sampaoli has struggled, though, struggles to find any kind of consistency. He’s never named the same line-up as Argentina coach. With Lionel Messi looking pretty haunted, it will be interesting to see how they get it together for what is to come. We reckon Argentina will find a way – but it’s merely papering over the cracks. They’ll likely not find a winning formula for the rest of the tournament, and progression here will merely delay what is an inevitable exit. It’s a long way, literally and figuratively, from Ayr on Monday to Ascot on Tuesday, but Ingleby Hollow has returned from an abortive spell over hurdles earlier in the year in decent form and may be capable of giving us some ammunition for bigger, better events later in the week. The Ayrshire Cancer Support Here To Help Handicap (4.45) shouldn’t take a great deal of winning, with the redoubtable, but ten-year-old, Wor Lass apparently the pick of the opposition. Although he’s been raised 3lb for finishing second at Doncaster last month, Ingleby Hollow should be suited by stepping back to 1 mile 5 furlongs and is reunited with Daniel Tudhope, who won on him on his penultimate start. 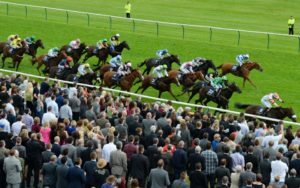 The form of that win has been franked by the second, Allfredandnobell, who won over hurdles at Cartmel next time, while his Doncaster conqueror Framley Garth followed up, off a 6lb higher mark, in a 0-80 contest at York last Friday. In fact, the Doncaster race has worked out very well indeed, with the third, Weather Front, also winning next time. Consequently, the weight rise looks more than justified and, with winning form on going ranging from the prevailing good to firm to soft, Ingleby Hollow should give us a run for our money whatever the weather in South Ayrshire. All of his opponents are fully exposed and trainer David O’Meara appears to have found him an excellent ooportunity to regain the winning thread. As a general rule of thumb, approximately one third (33%) of the horse races run in Britain are won by the starting price favourite. In other words, approximately two thirds (67%) of starting price favourites lose, which is good news for anyone looking to profit from laying favourites. However, don’t fall into the trap of thinking that because favourites start at short odds and lose two out of every three races, on average, you can make a profit simply by blindly laying the favourite in every race. You can’t. Some favourites are overrated by the betting public and some are underrated, so what lay punters need is a methodology that allows them to determine which favourites are worthy of their position at the head of the market and which are not. The majority of horse races are won by horses with good recent form, running in their normal sphere, against limited opposition, while at, or approaching, their peak. If, having analysed its form, you discover that the favourite in any race has profile that doesn’t match these criteria, for whatever reason, it may represent a lay betting opportunity. 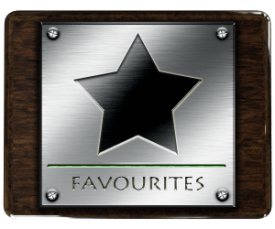 Of course, there are many different reasons why a favourite may, in fact, be a “false” favourite, so perhaps the best thing to do at this point is to have a look at a real race and see what we can make of the favourite’s chance. The race that I’ve chosen, more or less at random, is the Royal Regiment Sussex Stakes (4.40) at Goodwood on Tuesday, September 3, the racecard for which is shown below. I say more or less at random because I’ve deliberately chosen a handicap – so that all the runners, theoretically, have an equal chance – and, moreover, in which all the runners have thoroughly exposed form. According to the betting forecast, William Haggas’ three-year-old Argent Knight is favourite and, at first glance, it’s not difficult to see why. Argent Knight has a progressive profile, having won his last two races, including over today’s distance of two miles at Newmarket 24 days ago, and acts on the prevailing good to firm going. However, closer inspection of his form reveals that he’s 5lb worse off for 1½ lengths with Waterclock on their running at Newmarket, so he’s not guaranteed to confirm the form. Looking slightly further back, the horse that he beat by a neck at Sandown on his penultimate start has since finished last of four, beaten 6¼ lengths, in a lower grade handicap at Nottingham, so the form may not be as strong as it first appeared. He’s 8lb higher in the weights in a better race and has recorded all three career wins on galloping or testing courses, whereas Goodwood is fairly sharp. Of course, the chance of any favourite can only be assessed relative to the other horses in the race so, before considering laying the favourite, you should identify at least two other horses that you confidently expect to beat the favourite. Subject to finding two such horses in this race, Argent Knight has enough doubts about him to suggest that he may, indeed, represent a lay betting opportunity at his forecast odds of 3/1. Roger Charlton’s lightly raced four-year-old Waterclock has shown improved form since stepping up to two miles on his last two starts and is an obvious danger to the favourite, particularly with his 5lb pull in the weights. So, too, are Mutual Regard and Broxbourne, who both have proven form over two miles at this level and Arch Villain, who’s 10lb better off for 6 lengths with Argent Knight and 5lb better off for 4½ lengths with Waterclock on their running at Newmarket. Stuart Williams’ 4-year-old Aquilonius is more exposed than most of the others, but his one attempt over two miles, on a similarly sharp track, at Lingfield yielded a convincing win. Diomed in the Racing Post suggests that he was allowed to steal that race but, as one of just four distance winners in the field, it may be dangerous to underestimate him. In summary, there are at least five horses in the race, besides Argent Knight, that have demonstrated, recently, that they are capable of winning a race of this nature. In other words, Argent Knight, who is 3/1 favourite according to the betting forecast, should realistically be double that price and represents excellent value as a lay bet. For the purposes of this exercise, the result of the race was unsatisfactory, not because Argent Knight won, but because he ran no race at all, losing his place with three furlongs to run and weakening to finish last of the nine runners. Aquilonius made all the running, as he had at Lingfield, and stayed on well to beat Mutual Regard by 2¼ lengths with Arch Villain and Waterclock close up in third and fourth. Analyse the form of the favourite, paying close attention to any disparity in class, distance, going, weight, etc compared with its previous races that may adversely affect its performance. If no disparities exist or, in other words, the favourite has no apparent weaknesses, the race is probably one to leave alone. 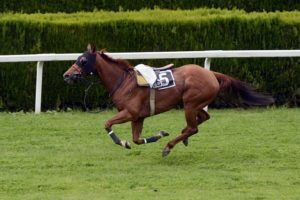 Take note of any good fortune that the favourite has experienced in its previous races, such as being allowed a “soft” lead, or being left in the lead by another horse falling, unseating its rider or running out. Analyse the form of the main market rivals to the favourite – the next three or four in the betting market is usually sufficient – in the same way, looking for concrete evidence that at least two of them can beat the favourite. If you can’t identify two such rivals, again the race is probably one to leave alone. Analysing form takes time and practice, so don’t lose heart if your analysis is a little wide of the mark to start with. If you want to sharpen up your skills without risking your hard-earned cash, try analysing a few races on paper only to see if you can spot favourites that aren’t worth their salt. You may miss a few profitable lay betting opportunities along the way, but the experience will stand you in good stead for the future.